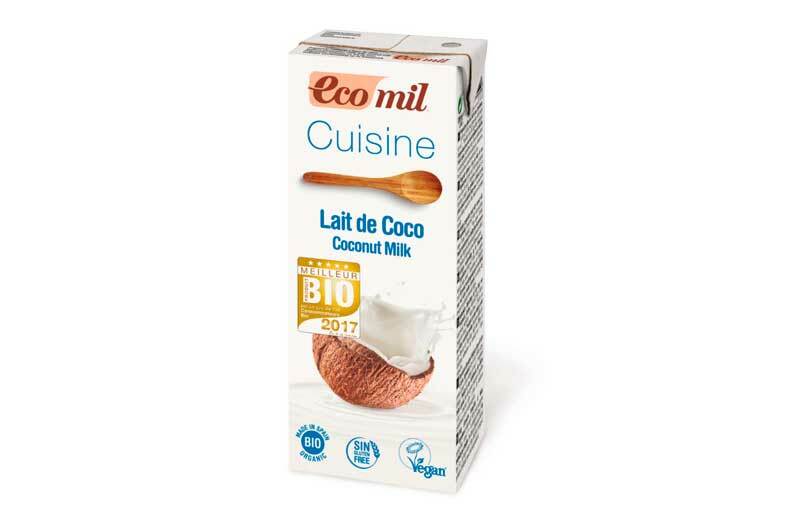 Ecomil Coconut Cooking Cream awarded Best Organic Product in France! The Ecomil Coconut Cream has been awarded “the Best Organic Product” France 2017! Thanks to the jury from Bio à la Une for this very special award! After the election of the Ecomil Almond Cooking Cream as the best organic product of the year 2016, it is the turn of the Coco Cream, novelty of the year, to receive this distinction of excellence! Thanks to the jury, to all the bloggers and restaurants partners for their delicious vegan recipes, and of course to all our consumers for their fidelity! You are everyday more and more present to support Ecomil on social networks: Thank you so much! Do not forget to follow us on Facebook and Instagram to discover the best veggie recipes! https://ecomil.com/wp-content/uploads/2016/11/Ecomil-coco-cuisine-cooking-cream-coconut-nata-crema-2017.jpg 512 790 admin https://ecomil.com/wp-content/uploads/2017/07/logo-ecomil.png admin2016-11-16 00:00:002017-09-03 21:52:07Ecomil Coconut Cooking Cream awarded Best Organic Product in France!